Families of St. Mary’s University students are invited to join us for a weekend of fun, entertainment and community. 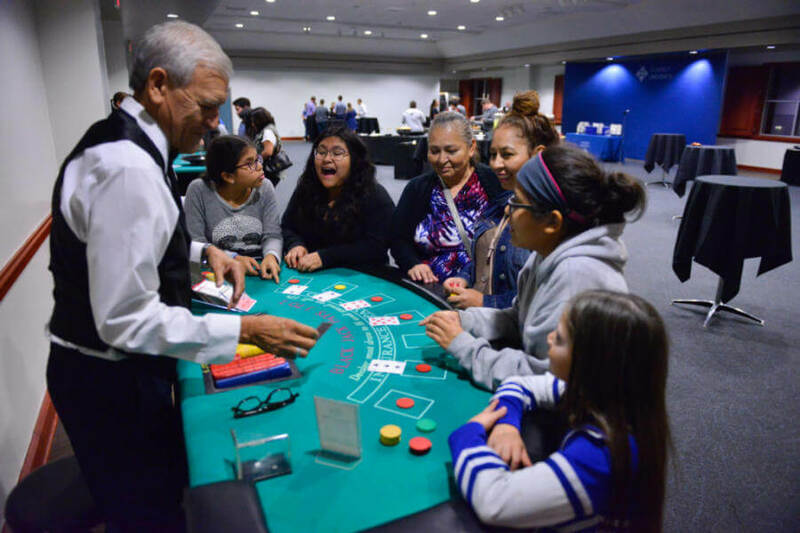 From a chance to meet your student’s classmates and residence hall neighbors to fun and games at Casino Night, your family is bound to have a good time exploring campus and getting to know the St. Mary’s community. We hope to see you there! Check back for a schedule of events as we get closer to Family Weekend 2019. 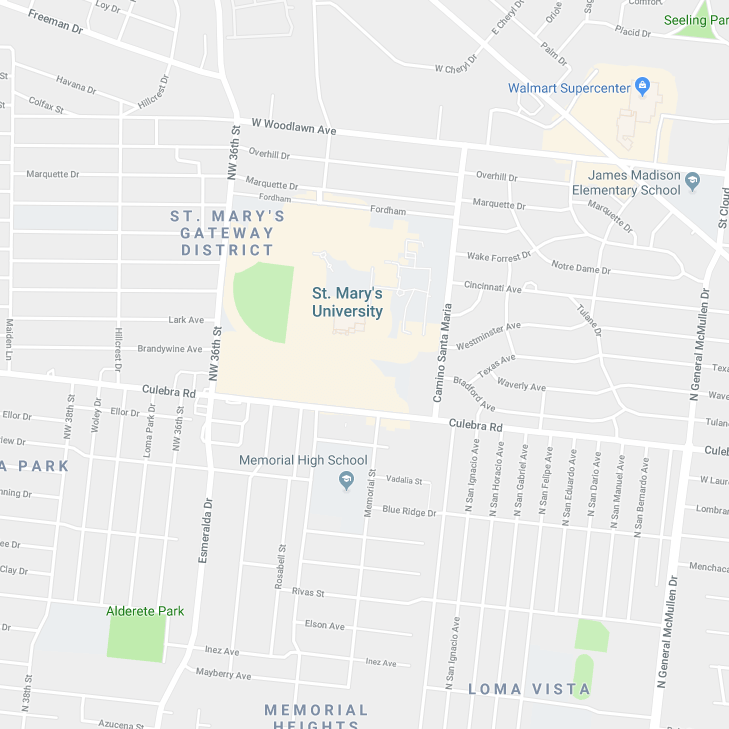 St. Mary’s University is located approximately 20 minutes from the San Antonio Airport. A taxi cab to campus costs about $35 to $40 each way. In addition, Uber and Lyft provide pickup services from the San Antonio Airport. View driving directions on Google Maps or an interactive campus map so you’ll know where to go once you arrive on campus. Below are a few offering special rates for guests of St. Mary’s. For more lodging options, visit the City of San Antonio’s website. Do I need to register for any events? Registration for Family Weekend is highly encouraged but not required. Registration will open in Fall 2019. Is there a cost to attend Family Weekend? There is no cost to attend Family Weekend. Where can I park once I arrive? All parking lots will be open to parents and guests over the weekend. Check the map for parking lot locations. Do I need to check in once I arrive? Check back for more information about the check-in process. Didn’t find what you’re looking for? For more information, contact St. Mary’s University Student Life at studentlife@stmarytx.edu or 210-436-3436.